Walking through the stores, looking at a briefcase or a pair of shoes, it might seem great when we read “Genuine Leather”. Sounds awesome, right? Like you’re getting the real thing? We hate to let you down, but – it’s not all it’s cracked up to be. The “genuine leather” name does not mean great leather – it just means there’s some leather in the material. 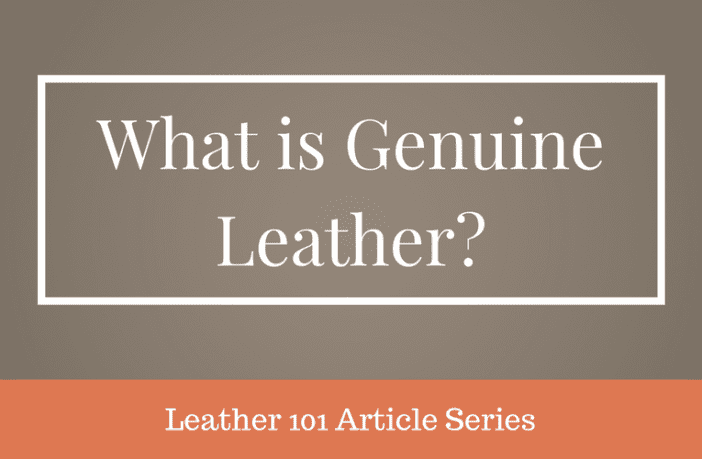 In this article, we’ll look at how genuine leather is made, how it stacks up against other types of leather and how to take care of your genuine leather products. How is Genuine Leather is Made? You’re not getting fake lather when you buy genuine – you’re just not getting the top. Actually, it simply means that it’s not top grain or full grain. It could mean a lot of different things, actually. It’s intentionally vague. In many cases, genuine leather is actually split leather. That means that the lower (inner) layers of the hide are stripped off. The outer, higher-quality parts are “top grain”. The ability to take multiple layers from one hide depends on the thickness of the skin. Some skins, like cow, are often able to be split into various levels. Genuine leather can come from the intermediate layers – between top grain and suede. That’s in term of position in the hide – not in terms of quality. At times, genuine leather may also be mixed with leather scraps and artificial materials and bonding agents. Genuine leather is leather, at least. Of the various possible grains and cuts, it’s at the bottom of the list, though. Relative to high-quality leathers like full grain and top grain, it’s definitely an inferior product. “Genuine leather” is not as durable and long-lasting as better leather products. It may make a decent first impression but is not going to stand up to ongoing wear and tear. If you’re not concerned about a product that going to have the resilience of a high-quality leather, you may be able to fool some of the people who just take a quick look at your genuine leather product. So there’s no consistent appearance to this class of leather. What is going to show, though, is its inferiority as it begins to wear quickly. Since genuine leather is almost a catch-all term for anything that’s not a higher grade, it can be used in a wide selection of products. Purses and handbags, briefcases and shoes – these are all products that may be made with genuine leather. What does unite this diversity of products, though, is the lower quality. These are not items that you’ll find in high-end retailers. Instead, these will be in department stores, the lower-priced shoes in the shoe department, and mall kiosks. 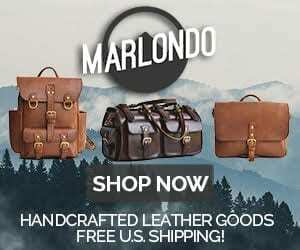 What Are The Advantages Of Genuine Leather? Price and the leather look and feel are the main advantages of going for genuine leather. If you can’t, or don’t want to, invest in a high-end leather purchase but still have the “look”, genuine leather is a suitable alternative. It’s also simple to maintain. Even though it’s not going to last long, you can help extend its life and look with basic care. Properly cared for, it will still last several years. What Are The Disadvantages of Genuine Leather? As we’ve clarified, genuine leather hardly means good leather. With time it tends to get stretch marks. Even though it looks good to start with, the appearance is going to start to degenerate. During warmer weather, this leather might make you feel a bit sweaty and hot. Another potential disadvantage of this type of leather only applies to those who haven’t read this article. The misleading name of this material can sometimes lead to unscrupulous vendors overcharging for it. Innocent, less-knowledgeable buyers may be duped into thinking this is a better leather. Genuine leather is quite easy to maintain and care as it requires a simple wipe down by use of a damp cloth. This is a task you can perform regularly or even daily if you’re in a dry, dusty area. Just be sure the cloth is only damp, not wet. Polishing is another step you can take to care for your genuine leather products. Many polishes have moisturizing elements. Be sure to shop around and check reviews to see what the best choices are. You can also use a conditioner or cream on your genuine leather products. It helps keep them from cracking or drying out. The products will not shine but will become protected. Genuine leather comes in behind full grain and top grain as a lesser product. It is real leather of course. While it can be an attractive product, it’s not going to hold up long-term. This can be a decent low-end purchase but isn’t going to match your better leather products. Purchasing genuine leather products can be a gamble when it comes to quality and longevity. If you’re on a budget, though, it makes a decent option. Our biggest recommendation is not to let yourself be fooled by the label. It’s not a bad purchase as long as you pay the right low price for it – but don’t be tricked into overspending for it.